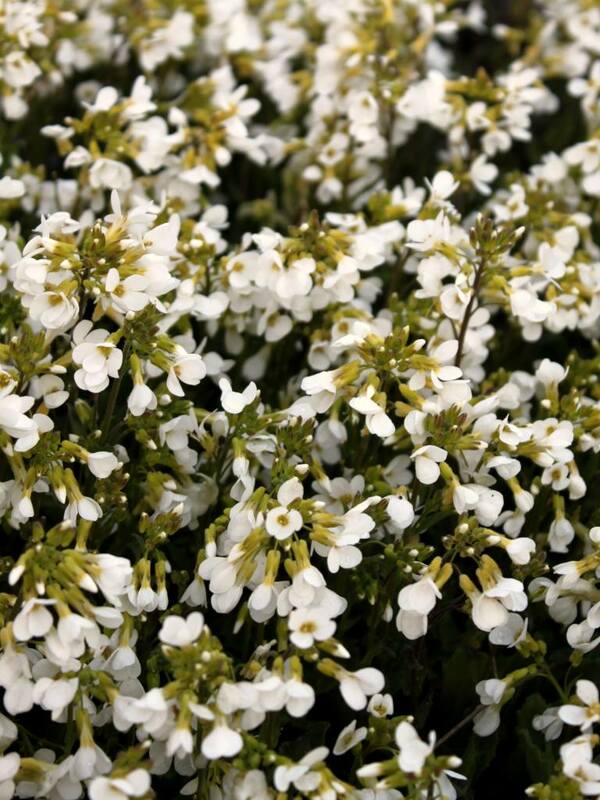 Arabis is a simply beautiful herbaceous plant that blooms for a long time in spring, thus offering delicate white flowers. Caring for it is easy and the ornamental properties of this plant make it perfect as ground cover, for rock ground or along edges. 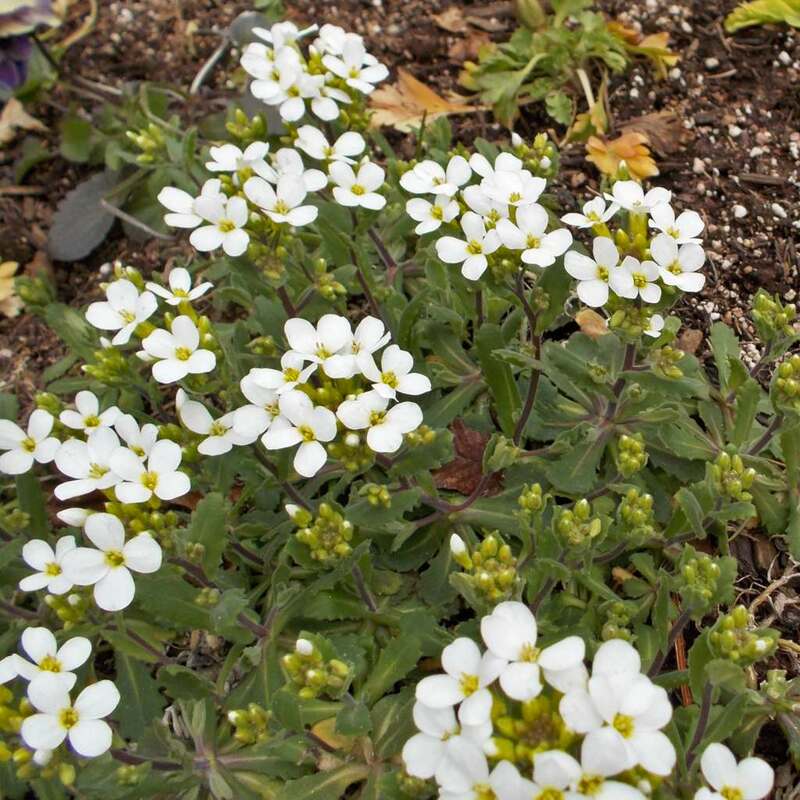 Arabis loves well drained soil types and grows very well in sandy soil. It likes very sunny spots but tolerates light shade. Planting arabis is best done either in spring or fall. Remember to water regularly at the beginning if you’re planting in spring and even more so in summer. Propagate by transferring young plants that appear along the runners. The sowing of Arabis is best performed in spring. Sow in a sheltered place while avoiding direct sun. Arabis makes for very easy growing and care. Simply checking on its growth from time to time is generally enough to avoid having it spread too far. Remove wilted flowers regularly if you wish but this step isn’t really necessary. Since the foliage is evergreen, it isn’t very useful to cut it back after the blooming. 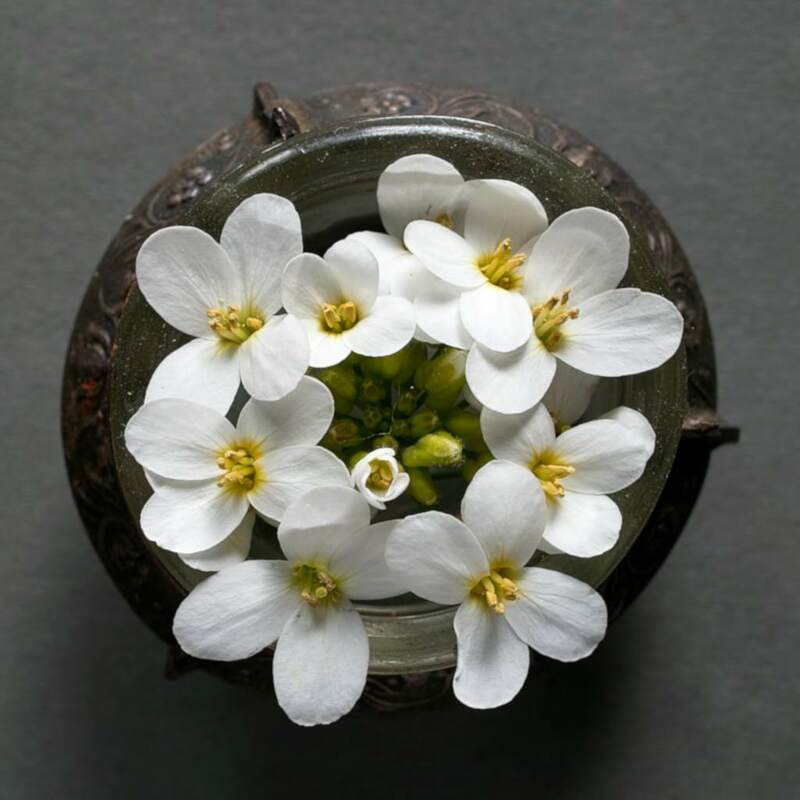 The name “Arabis” was coined by the botanist Carl Von Linne. He saw the match between the desert sand of Arabia and the sand in which this plant thrived so well. This plant will be particularly appealing along the edges of a flower bed, in a garden box, and also in rocky ground and atop a dirt mound. It receives the gleeful visits of our friends the bees and is advantageously paired with bellflowers and aubretia. 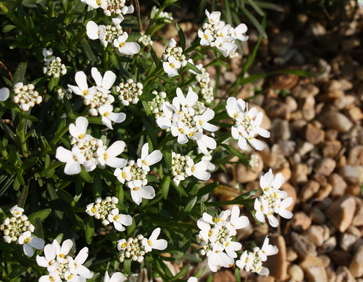 Just like iberis, it is sometimes called “silver basket” for its abundant white blooming. Alpine rock-cress doesn’t need any watering in summer… this scores points for saving water and for our planet, too! If you pick a cluster of flowers and rest it in a glass of water, it will hold for up to a week.